Okay I confess, I am a multitasking Queen. I thought this was the best way to get a lot done in a small time. After this book, I realized that my strategy might not be the best way. 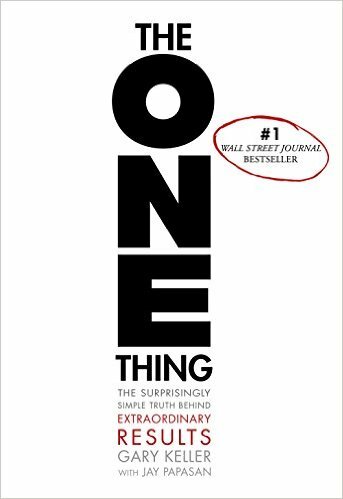 This book really explains that focusing on one thing at a time, gives you the best results. After giving up my wicked ways, I decided to try it. I love variety in my life so decided I needed to redefine how and why I do things. I have determined that I can spend 5 hours on one thing per day. I might not go back to that one thing until 2 days from now. I have changed a lot in my life from that one tip. Run and get this good book-The ONE Thing.